It never really occurred to me that it was possible to cook with essential oils. 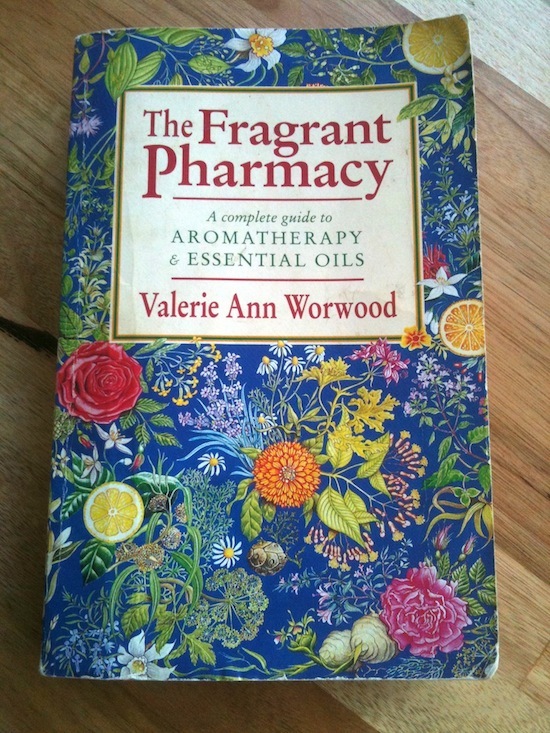 I’m not sure why, given that I have had the book: ‘The Fragrant Pharmacy: A complete guide to aromatherapy & essential oils’ by Valerie Ann Worwood for sometime. It was published in 1990, so I guess I was a little wary of the chapter on cooking with essential oils and the subsequent recipes. In the back of my mind I thought it was probably published at a time when safety was not at the forefront of thinking and so I simply ignored that chapter. The potency of essential oils are frequently referred to in aromatherapy books and they are quick to point out safety considerations and what oils not to use with certain conditions etcetera, so cooking with essential oils just simply was a no go zone – I never actually gave it any further thought, consideration or investigation at all. I had the general idea that it sounded unsafe, end of story. 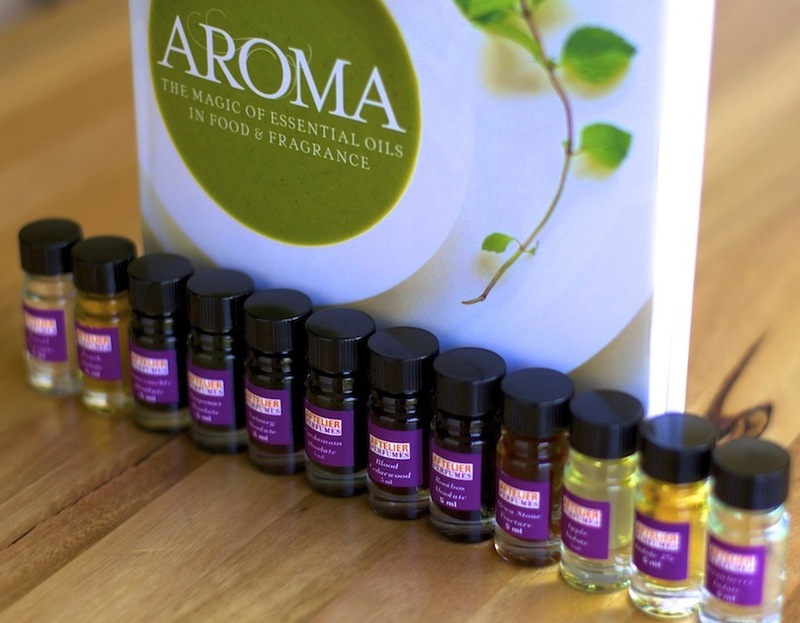 It was my recent purchase of ‘Aroma: The magic of essential oils in food and fragrance’ by Mandy Aftel and Daniel Patterson that had me begin to explore the concept of cooking with essential oils. It was then that I realised that the food industry does sometimes use essential oils for flavouring. An example is the Australian pana chocolate company based in Victoria. Of course many artificial flavours are used in the food industry, however, when they advertise natural flavours, they are often referring to real plant extracts and oils. Here in Tasmania we have essential oils of tasmania that farm and produce a number of essential oils and plant extracts for the food, flavour and fragrance industries. Essential oils that can be used in the kitchen can be categorised into 4 groups: citrus (eg, lemon, orange, lime, grapefruit), floral (eg, rose, lavender, jasmine, geranium, ylang ylang), herbs (eg, tarragon, mint, thyme, basil) and spices (eg, black pepper, nutmeg, coriander, cardamom, cinnamon). With the growing interest and demand for essential oils has come the unscrupulous practice of adulterating essential oils. So it is imperative that if you do choose to cook with essential oils that you are sure that they are 100% pure and natural, not synthetic fragrance oils. I personally would not use any bottle of essential oil that you may buy from a bricks and mortar retail shop for ingesting. 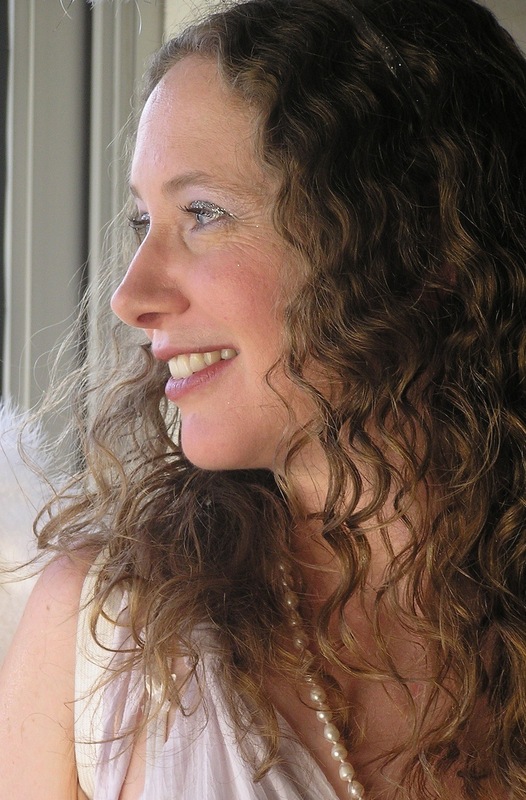 Mandy Aftel offers essential oils for cooking from her Chef’s Essences range. I have not purchased from doTerra before, however, they seem to be committed to ensuring all of their oils are 100% pure and market their oils specifically for cooking and therapeutic purposes. Within Australia, the company Cosmark Aromatics appear to be a supplier of essential oils approved for use in flavouring food. 1. Ensure your essential oil is 100% pure and natural and you have purchased from an approved supplier for your intended use. 2. If pregnant or breastfeeding – DO NOT use or ingest an essential oil at all. 3. Store essential oils out of reach of children. 4. If you are allergic to a particular food ingredient, DO NOT consume an essential oil derived from that ingredient. 5. Essential oils are potent. Only a drop or 2 is required to flavour an entire dish. I still approach the concept of cooking with essential oils with great trepidation! So my first dabbling has been with lavender. 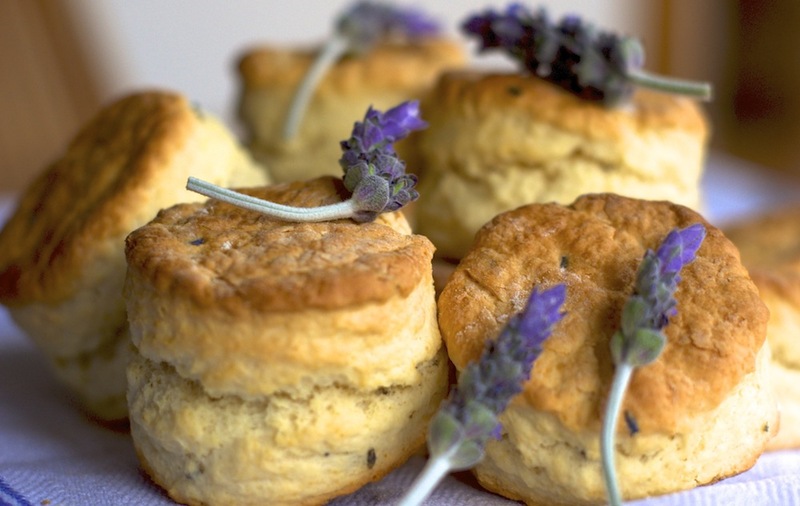 The following recipe is for Lavender Scones from Bridestowe Lavender Estate. Their lavender oil is naturally low in camphor and when I asked I was told it was safe for flavouring food and beverages. You can purchase their culinary lavender here. They freely provide the recipes to the food they serve in their cafe, online as well as onsite and you can purchase their pure lavender essential oil online as well. Sift flour, add culinary lavender and stir. Combine lemonade and cream. Create a well in the flour mix and pour wet ingredients into it. Mix and knead well together. Roll out on floured board. 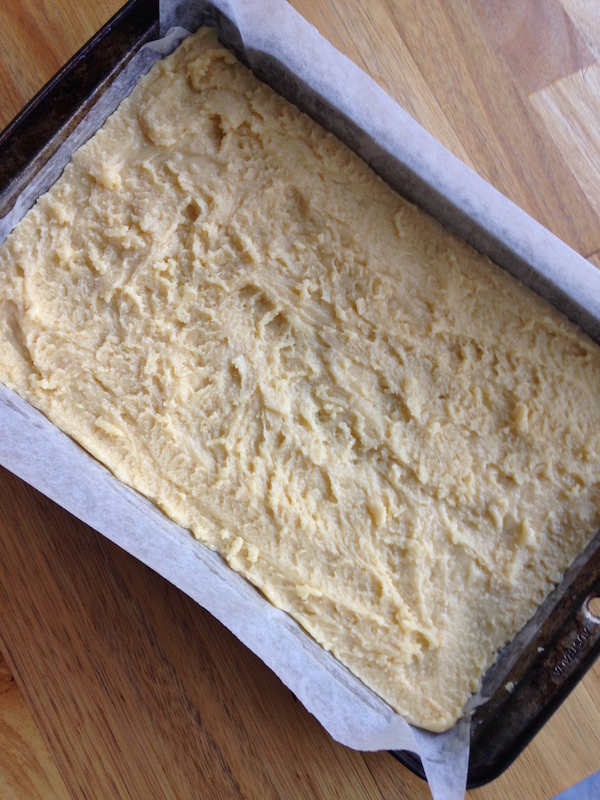 Cut into rounds and place on a tray lined with baking paper. Bake for 20 minutes at 200 degrees celcius. 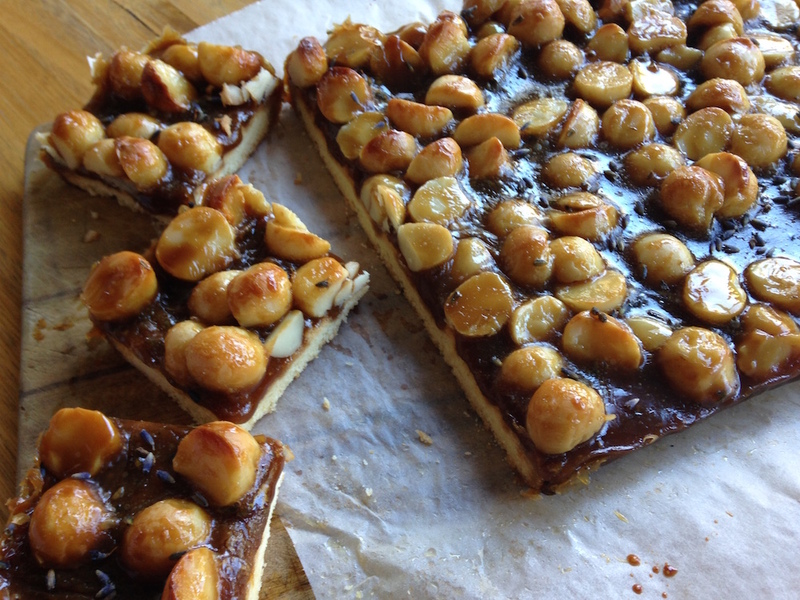 (Recipe courtesy Bridestowe Lavender Estate). To the cream I also added 2 drops of lavender essential oil (lavandula angustifolia) – but this is optional! P.S. Thank you to George Washington Inn for leaving the comment below. I mentioned using the culinary lavender from Bridestowe, which is of the lavandula angustifolia variety. As George Washington Inn rightly mentions, this is the only variety of lavender that can be safely consumed, as it is low in camphor compared to the other varieties of lavender. It is the low camphor that also makes this variety perfect for perfumery purposes. So, if you are considering using a lavender essential oil or even lavender flowers in your cooking, make sure it is the lavandula angustifolia variety. The lavender sprigs in the photo below are from my garden and for decoration only – I have no idea what variety of lavender it is!